Growing up in New England, I was fortunate to be brought up on the nuances of chowder. The conception of chowder outside of New England is a heavy roux-based soup with potatoes, clams and cream. However, good chowder is not always that simple and ubiquitous as you may think. There are many stories of its history and various versions from around the region. 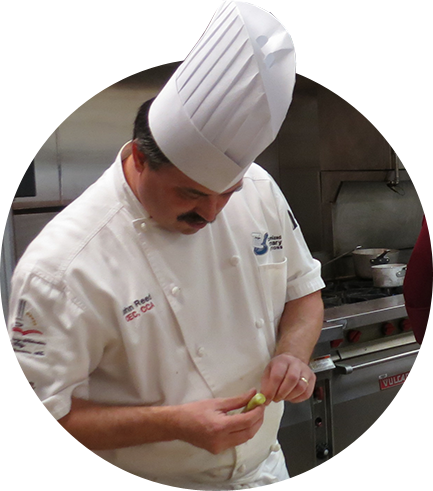 In culinary school in the early 80s, we were taught what a chowder must contain, and from there you could create the various regional versions. Think of bacon, potatoes and onions in a similar fashion to the holy trinity of cajun cooking but for New Englanders. So, any chowder can be made from the base of these three items. Not all chowders are white or thickened with roux. Being a loyal Bostonian, I respect chowder that is not white, but that red stuff from Manhattan is not chowder; it is something Yankee fans eat because they think everything has to be Italian or have tomatoes in it. What are they thinking! As for the roux, this is a modern evolution and one that was made during the years of transition from cooking to survive to commercial foodservice. Chowder was a simple dish of ingredients that could be stored over the long winter, hence the use of salt pork, potatoes and onions. White flour and butter were both expensive ingredients. Hard tack or what has become oyster crackers was of abundance and could be stored without fear of mold, weevils or whatever might get into your stores, especially aboard sailing ships where this dish was initially created or evolved. The ship’s cook could easily cook salt pork, onions and potatoes in a “chaudron” or cooking pot from the northern part of Arcadia and Newfoundland and then add whatever catch they may have. The hard tack for the most part was crumbled and added to the soup to bring it back to life and thus thicken the soup. That tradition lives on with those little nasty oyster crackers in the bag, which really don’t make any sense when most commercial chowders are pretty thick anyway. Please don’t put them on chili either! Great chowder made along the coast of New England during the summer months in clam and fish shacks is thinner than most of the tourists would be accustomed to. Generally, they are just finished with half & half, and if you go to Rhode Island you might not even see dairy but a unique freshness from the addition of herbs such as tarragon. After graduating culinary school, I worked in a restaurant that specialized in the foods of New England. We would focus on making really old-school chowders that had no thickening agent other than the results of cooking with tubers and root vegetables that would break down over time. This base would then be used to finish the chowder versus a long-cooked version with roux. Any roux needs to cook for a minimum of 45 minutes to fully break down the structure of the flour to achieve the silkiness that one should expect. We had great results with sun chokes (Jerusalem artichokes), smoked bacon, guanciale, seasonal onions and new potatoes no bigger than your thumb. The sun chokes provided a unique earthiness and sourness that really complemented crab, oysters and shellfish. We always used a white crab stock that was fortified with white fish such as haddock, scrod and hake. The dishes were simple-bring the heated chowder base to a simmer, add the seafood and gently cook. We finished the “chowda” with various infused creams, compound butters and fresh herbs. The flavors were clean and bright. Our take on the little “nasties” was to make soda flatbreads with the best sea salt we could find. Seasonally we used white corn (not yellow), mushrooms, winter squashes and summer greens. The key was the great base of fresh seafood stock, seasonal vegetables and artisan cured pork products. We wanted to make sure we kept the heritage of chowder alive. Remember, this was in the 80s, before cell phones, bad recipes on YouTube and the “trend” of thinking locally ever made it onto cable food shows! Also, I want to give a long overdue RIP to Carlos the prep chef at the first hotel I worked at. He taught me how to make that thick chowder we all know. He showed me how to make buckets of roux in the oven and how to be patient when peeling and dicing 50# bags of potatoes and onions. No robot coupe or pre-cut onions in my day! I want to give a shout out to a tremendous brewery that is less than a mile from where I was born in Massachusetts. 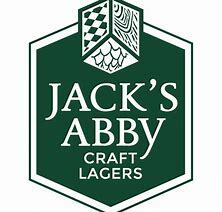 Jack’s Abby is a great lager house, and the Hoponius Union named with “tongue in cheek” for the hospital where I was born (Framingham Union) is one of the original dry hopped lagers. Bright with a fruity hop bitterness and west coast crispness to balance any of the subtleties of this style of chowder.